This novel is set in the same fictional universe as I, Synthorg. Mirror Souls. Who are they? Abominations or the next stage of evolution? The London police investigates a series of mysterious murders that occur in the city’s underground tunnels. The victims—all hardened criminals—have four puncture wounds on their forehead, but none of these wounds were lethal. The cause of death is cardiac arrest—they literally died of fear. Who is behind these murders? A serial killer or a vigilante? Is the murderer even human? André de Mirandol, a young sociologist, is hired by Interpol to help with the investigation. To solve the mystery, André will have to confront a ghost from his family’s past. 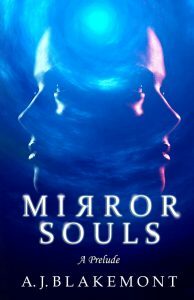 This e-book contains the novella Mirror Souls: A Prelude and the first three chapters from the novel Griffen. Her name is Griffen and she is a newborn. She is a copy of a young woman, Letitia. Griffen is not the only one of her kind—there are others like her, living among humans or hiding underground. Romantics called them doppelgangers, ghostly twins, the harbingers of death. Scientists who know that they exist call them simulacra. They call themselves mirror souls. Who are they and what are their goals? 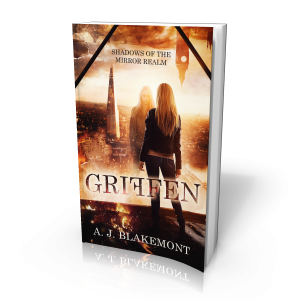 In this science fiction thriller, A. J. Blakemont will guide you on an epic journey through parallel realities toward a dramatic revelation.